On January 16, Saturday , Ogie Diaz confirmed on his radio program that long time Showbiz couple Bea Alonzo and Zanjoe Marudo broke up already. Though, Diaz did not disclose any further information about the separation, netizens speculated that it has something to do with John Lloyd Cruz and Angelica Panganiban's putative breakup. Rumors about the breakup between Alonzo and Marudo started on June last year. Alonzo even confirmed that she didn't have a 'perfect relationship' with the actor and they were going through some rough ride but they were still trying to work it out. Until last week, the two went to a vacation separately which ignited back the rumors. Alonzo went to Japan while Marudo explored Europe, mainly London and Paris. Reports then concluded that the couple were heading splitsville which was confirmed by the talent manager on Saturday. 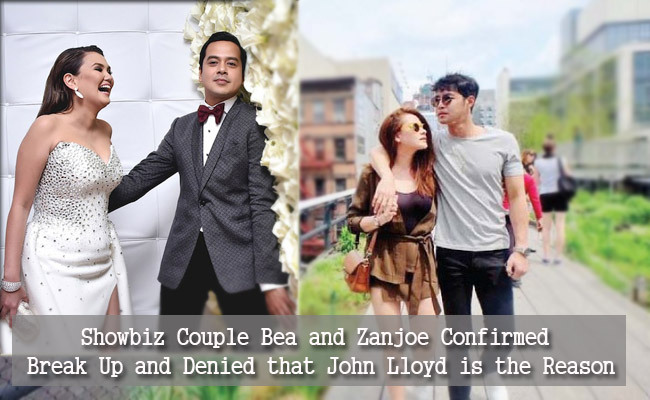 On January 20, Wednesday, Zanjoe Marudo personally confirmed the breakup on an interview with Boy Abunda on the latter's show, Tonight With Boy Abunda. Marudo said that everyone really has to go through some difficulties to be remain strong. During the promotion of his show, Tubig at Langis, Marudo was asked by Abunda, "What is love? ", he meaningfully answered that, "Love is worth fighting for." then smiled sheepishly. Meanwhile, Alonzo's name was being dragged to what Angelica Panganiban had posted on Instagram recently which netizens related to her own breakup ordeal. Ogie Diaz denied the speculations about Cruz-Panganiban breakup, though. Fashion Pulis, a local entertainment blog, however, reported that Cruz and Alonzo may finally be a real-life couple after being a long time on-screen partners. Mo Twister also tweeted about this on January 13, Wednesday. 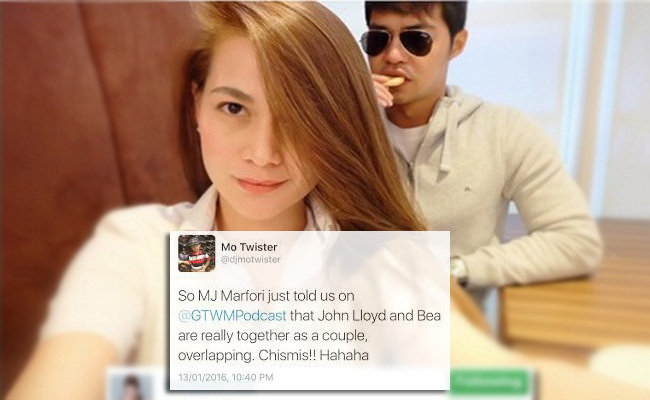 Mo Twister mentioned that MJ Marfori confirmed on GTWM podcast that Cruz and Alonzo are dating now. Netizens have mixed reactions regarding the issue. Some, especially the Bea-John Llod love team fans, are happy to know that the two may finally end up together after all these years of waiting. While some are disappointed that two relationships had been broken apart and even furious about the 'overlapping' concept.